Setting up in marquee hire? Get a website up as soon as you can. A telephone is pretty vital yes? I think we can all agree on that.  Having your local area code will help attract local business. Someone’s got to answer it or they’re expensive to redirect to a mobile. You can ask someone at home to take all calls (if it’s a full-time mum remember that a. they’ll be working harder than you most of the time! and b. screaming kids in the backround isn’t good for either side). I’m not sure what they’re called but you can have your number put through to a company that act as an office – I knew someone who used to do this and got on very well with the service. Finally I’d avoid using an answering machine, you’ll lose a lot of business. Convenient, it means you can go anywhere in signal and act as an office from your car/van whilst on site. The number can follow you anywhere, easily redirected through to your mobile, landline or a messaging service (if you have to). It’s worth having two mobiles on separate networks to increase your coverage if you use this. If I was starting up again I would use an internet redirectable number and wherever I advertised the number (website, leaflets etc) I would always put the area we covered. How do you compare all the different marquees available? It’s very confusing, there aren’t any independent ‘marquees for sale reviews’ websites out there so what can you do? Are DIY Marquees the cheapest? No. The cheapest structures will always be made from cheap PE or Poly/PVC material (and cut corners with the metalwork but that’s harder to explain/demonstrate). I once read a supplier describe PE as ‘the ultimate marquee fabric’ and the same material as bulletproof vests’, which is a bit like saying tanks are made from metal, tinfoil’s made from metal, therefore my daughters ‘spaceman’ outfit is suitable for our troops out in Afghanistan! Don’t get me wrong, PE structures have their place in the market I just think that as a hire company it’s worth paying a little more for a much longer return on investment. Are DIY Marquees the strongest? No, I can’t say that either. Aluminium frame marquees are used to span 30+ metre widths and are also available in narrower widths -my argument is that they’re over-engineered when you’re only using them as 6m wide marquees (and they’re 7-10 times the price of our structures!). To put it a different way, when you take a booking why don’t you go round and build them a brick or timber building? Because it’s expensive and over-engineered for what they need. It doesn’t make a sound business decision. I believe our DIY Marquees offer the best returns on investment for the size marquees we supply, that’s why we supply them and I’m happy and proud to do so. Lastly as a hire company make ABSOLUTELY sure you receive a fire test certificate with whatever marquee you end up buying, don’t hire it out without one. After the success of our 2009 PAT Testing Courses we have arranged some dates for 2010. They will be held in March, we have availability on the 2nd and 10th of March and limited availability on the 9th March. The location will be confirmed when we have numbers, but will be in the Basingstoke area. The aim of our one day ‘practical’ workshop is to obtain an understanding of why PAT Testing is necessary and be able to demonstrate safely and accurately all aspects of electrical testing necessary to perform PAT tests on your own or other peoples electrical equipment. The course is designed for those within the events industry, although the testing techniques learnt can be used in any industry. You will be shown how to PAT test a wide range of our products from extension leads to metal light fittings and from simple distribution boards to power tools. There will be a maximum of four delegates per day, to ensure you get the most out of the course. If you have already purchased a PAT tester you are welcome to bring it along to ensure that you get the best from it. Alternatively we will give you advice on testers to buy. The official IET guide: code of practise for in service inspection and testing of electrical equipment. This is a complete reference for you. Training at customer’s site shall be subject to extra transport costs. I’m not making any money from this recommendation (although a pint at the showmans show wouldn’t go amiss Louise..) and I’d like to point out that others can offer PAT testing training but it’s a lot easier if you’re on a marquee orientated course with like minded marquee people (we’re an odd bunch after all). As I pointed out before it could turn in to a lucrative winter sideline for those quieter months. Employing people can be stressful but a necessary evil if you want to build up your large marquee hire business. When you start you can call on family and friends for a while but the novelty soon wears off for both sides. It’s a lot easier if the people working for you are self employed, you don’t need to worry about PAYE etc but the downside is they decide the hours/days they work, they can turn round and say no to you. I think technically they should supply their own tools and shouldn’t be constantly under your direct supervision but I’m not an expert in these matters. When you’ve got a lot of bookings and you take time to train up some staff so they don’t need you there all the time your main worry is they’ll leave halfway through the season leaving you in trouble. Our solution, and it worked very well all round, was to offer a substantial bonus to key staff. They received the bonus at the end of the season (mid September) provided they still worked for us. -although we didn’t, I know a lot of companies offer bonuses for months in which no sick days were used. If it becomes a problem then it’s certainly something to consider. University students are ideal labour to recruit as their holidays generally coincide with peak wedding/party marquee season and if you get a 1st year student it means he’ll come back for the following season or two. Point 3: “Resist diversifying too early” is an appropriate one. Don’t try and take on every job of every size initially. Specifically don’t spend a lot of your time quoting for jobs that have 500-1000 guests if you don’t have the equipment to do it. By all means sub-hire it to someone else if that’s what you want to do but make sure you concentrate your energies on your target market. Point 18: ‘Agonise over minutiae’ In my job I see this time and time again, people going over so many minor points with if this happened or if that happens, there comes a point when you’ve just got to take the plunge and go for it. You’ll always find a reason not to do something. Point 21 is very interesting as it’s basically contrary to what I’ve written on price. It’s saying you shouldn’t beat your competition on price, you should offer better service and a more personal touch than the competition. This is certainly one approach and it’s perfectly valid, I know several people who have targeted the higher end more personalised marquee weddings and are doing very well. My argument is it’s higher risk. If you know you can undercut larger companies due to your lower costs then you can pretty much guarantee work. If you offer better personalised service then you’ll soon find you can increase your prices and still keep the work coming in as your reputation grows. Point 27: Also leads on to some advice Mal at Premier Party Tent offered the other day. Get a good accountant on board, they’re well worth the money. Be a little careful, some accountants believe they’re Gods gift to business (I should know, enough of my mates became accountants and preach to me about what I should be doing). Just remember this – if accountants were so good at running their own business why aren’t they doing it themselves? A bit like my articles on here -listen to the advice and pick and choose what you want . Accountants are also mentioned in points 33 & 34. The best quote I remember is ‘if you want to be a self-made man don’t leave out the working parts’. By all means some businesses fail and it’s not your fault but don’t let it be as a result of lack of effort, drive or hard work. If you’re starting up a marquee hire business you need to do your research. The first thing to research is the competition. If your local area is swamped with small-medium marquee companies then you might need to think twice about your venture. If there’s hardly any firms or (just as good) only large companies then it’s worth setting up. Go through the yellow pages, thompson local and trawl online for all your local marquee hirers then sit on the phone and find out their hire charges for a particular weekend during the summer (winter will be cheaper and harder to compare like for like). I’ve mentioned before that it would be worth getting a couple of companies round pretending to be a prospective hirer to hear their sales pitch but I know a lot of people aren’t keen on this idea. When you’re successful this will happen to you (I know from experience) so my view is you might as well while you can! If you’re hiring out electrical marquee equipment (anything with a plug on -including extension leads) then it should be PAT (portable appliance test) tested at least every year. It doesn’t cost much, an electrician would normally charge around £3-6 per item (which can add up if you’ve got a lot of equipment). They then label it up as tested and a retest date in a year (or less if recommended). For all those small businesses out there that struggle a bit during the winter, why not take a PAT testing course (£160-£250), buy a PAT tester and set yourself up a sideline for the winter? It’s very easy work, once you get a contract with a company you can normally rely on going back the following year and doing it again so it’s just building up a list of contracts. You can target fellow marquee companies but remember – every company should be doing this every year but most don’t. Just target your local companies pointing out that this is a requirement if they didn’t already know and away you go, a nice winter sideline. You don’t need to be a fully qualified electrician to do this just take the 1 or 2 day course. This is a tricky one..
As a marquee erector our dream is to put marquees up on bowling greens that you can park your vehicle next to. You then come across a customer who’s dream is for you to convert their three-tiered sloped and bumpy garden in to a surface fit for a banquet. First off for those who are thinking about starting up in the marquee hire trade don’t worry, most gardens are reasonable level and you don’t come across the bumby scenario very often. You may have customers who are concerned about their flat but sloped garden and whether it’s suitable to have tables and chairs put on it -just ask them if they’re happy using their garden furniture on it, generally they will so you’re fine. DON’T chock up table legs to make them level, the seat height of chairs is standard so someone could end up eating around the ears! Just let the tables follow the lay of the land. So, if it’s got some small bumps or holes in you can get round it, just fill the holes up and lay your floor over the top. We used to use bark as you can then sprinkle it over the customers garden with no harm done but this is a little spongy underfoot. Sand or even old newspapers are often used. Whatever it is you use put some plastic underneath it first so you can easily clear it away afterwards. There does come a point when simply filling in some small holes won’t do, at this point unless you’ve got an integrated wooden floor system (available on large aluminium frame marquees) then it’s time to walk away and say you just can’t help. It’s upsetting but there are some cases when that’s simply how it is. We’re marquee erectors, not magicians. One final point on flooring over uneven surfaces, if you’re laying flooring and you find a hole in the lawn make sure you fill it before finishing the floor, if you cover it over without filling it you’re leaving a hazard for someone to trip in. We used to limit ourselves to putting up marquees within an hours drive of our yard with a few exceptions – one was a wedding in St Albans (about 3 hours drive) which the bride insisted we do as we did such a good job for her sister local to us the previous year. Imagine our absolute joy when we came to erect the marquee and found we were one vital part missing (an apex knuckle -10 years later I still remember it was an apex knuckle..). Even if you’re doing a job 15 mins away if you forget something then it screws everything up, you have lads waiting round unable to get on and it can make the day drag on and on. The solution? Loading lists. Write up exactly what you need for each size marquee and include things like: steps, sledgehammer, anything else you need on every job. Laminate it. Tick off every item with a whiteboard marker every time you have to load up. This also allows more than one person to load up without confusion over who should be loading what. Remember to phone us urgently for any 9m wide marquee sales. I'm human, I make mistakes. All advice offered on this site is to the best of my knowledge and written in goodwill. If you find anything factually incorrect, offensive or generally disagreeable please contact me and it will be removed immediately. I disclaim any liability incurred in connection to information supplied in this blog.